Along with other historical precedents, Hakodate is also the site of the final battle of the Boshin War, the end of which also coincides with the beginning of the Meiji Period of Japan. 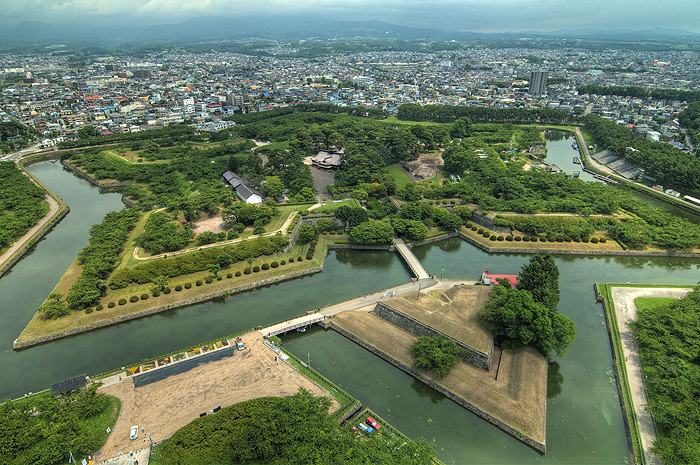 The 'Battle of Hakodate' took place in and around Japan's only star shaped fort, now known as Goryoukaku Park. In 1868 Imperial forces loyal to the Emperor surrounded and fought the last holdouts of the Shogunate forces of Japan, eventually defeating them. Some of these events and people can be seen in the mostly fictitious movie interpretation 'The Last Samurai'. Only a park remains now where the fort once stood, but there are still some remenants of the castle walls. It is also a great place to take a quiet and leisurely stroll. And if you feel like paying 800 yen, head up to the top of Goryoukaku Tower for a great bird's eye view of the park. When I lived in Hakodate, I used to walk around Goroukaku park late at night, alone, looking for ghosts. I know it may sound a bit bizarre, but Hakodate is a quiet town, and I was often bored, with not much else to do. I never saw any however. I lived only a few minutes away on foot, so I probably spent more time at the park than anywhere else in Hakodate. My apartment building is below. 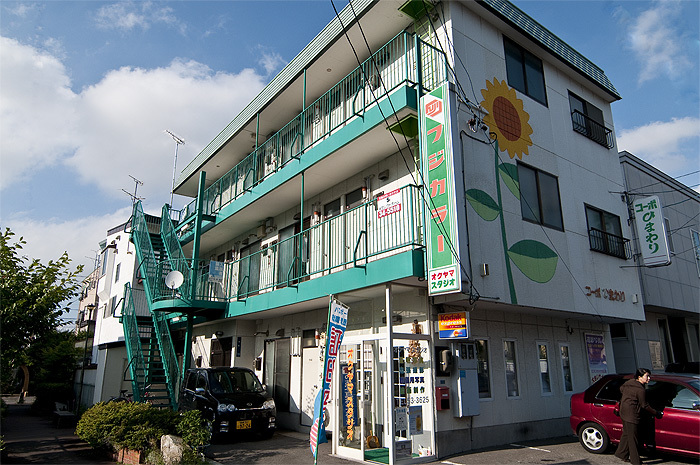 I lived on the top floor, in the room right above the giant sunflower. I chiefly remember the thin walls and my tiny gas stove, and being absolutely freezing during the winter. Ah..., the good old days! The lady getting out of the car (in the below picture) asked me in tones of concern why I was taking a picture of the building (she runs the small shop below) and I told her that I was a tenant here 10 years ago. She didn't remember me, though I remember her vaguely. I suppose after decades of foreigners traipsing through that room, she would be hard pressed to remember one face. Once you're done sightseeing in the city, I highly recommend going to some of the outlying areas. 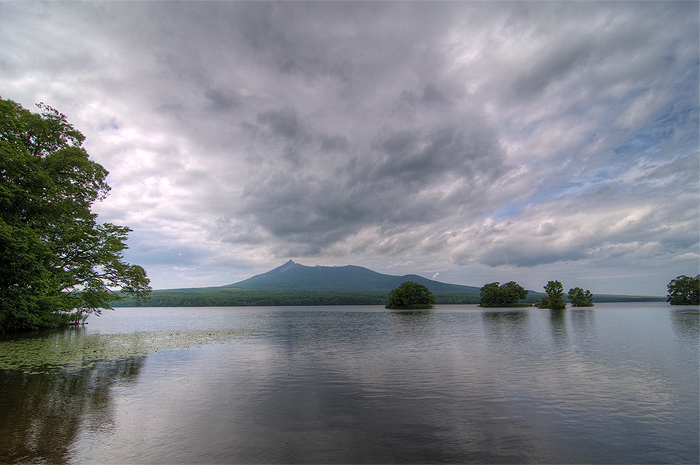 Onuma National Park is a great place to spend an afternoon. You've got a lake, a volcano (Mt. Komagatake), hiking, boating, great views and tranquility. Make sure you check with the locals before climbing Mt. Komagatake though. At only 1131 meters high, it is an easy enough hike, but it's still a fairly active volcano. I remember clearly that just one week after I climbed it (in 1998), it erupted, quite violently. Thanks for the memories Hakodate, and thanks to all the people there that helped me out, and made it a pleasure to visit again and again. Hopefully this visit won't be my last!